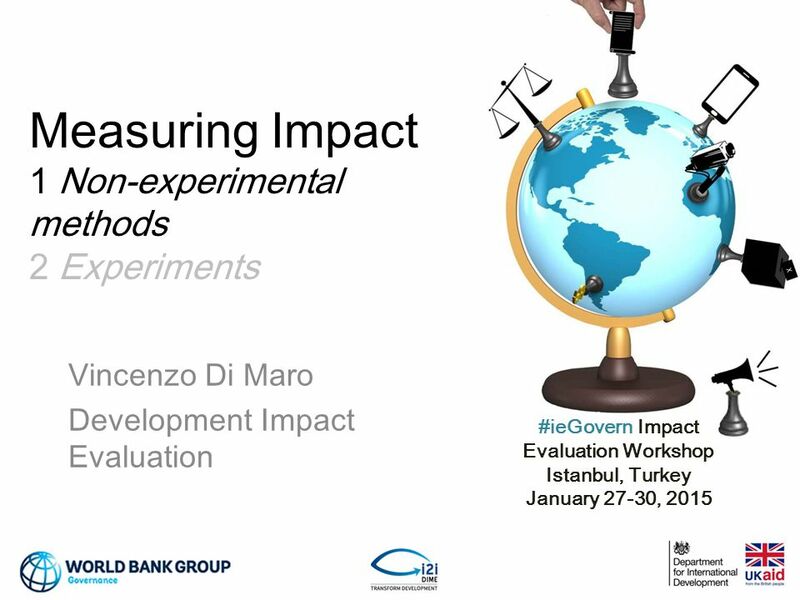 #ieGovern Impact Evaluation Workshop Istanbul, Turkey January 27-30, 2015 Measuring Impact 1 Non-experimental methods 2 Experiments Vincenzo Di Maro Development. 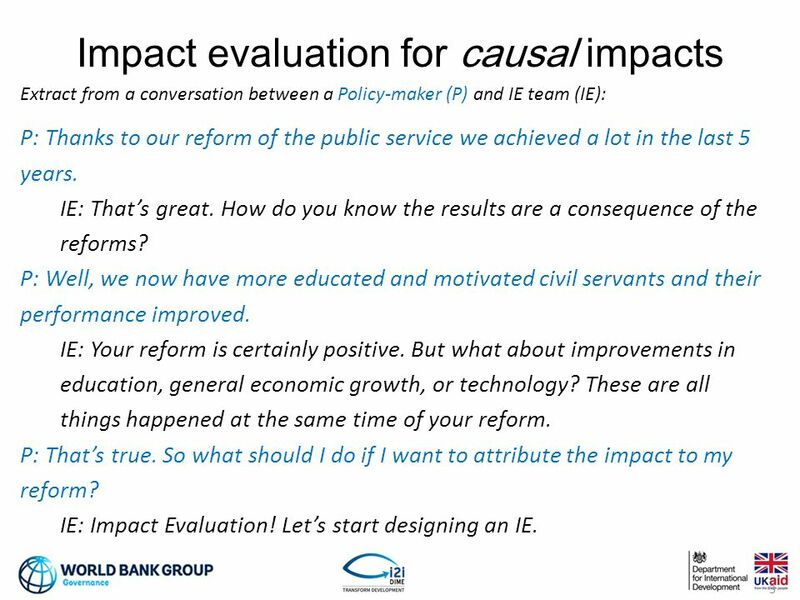 3 3 Extract from a conversation between a Policy-maker (P) and IE team (IE): P: Thanks to our reform of the public service we achieved a lot in the last 5 years. IE: That’s great. 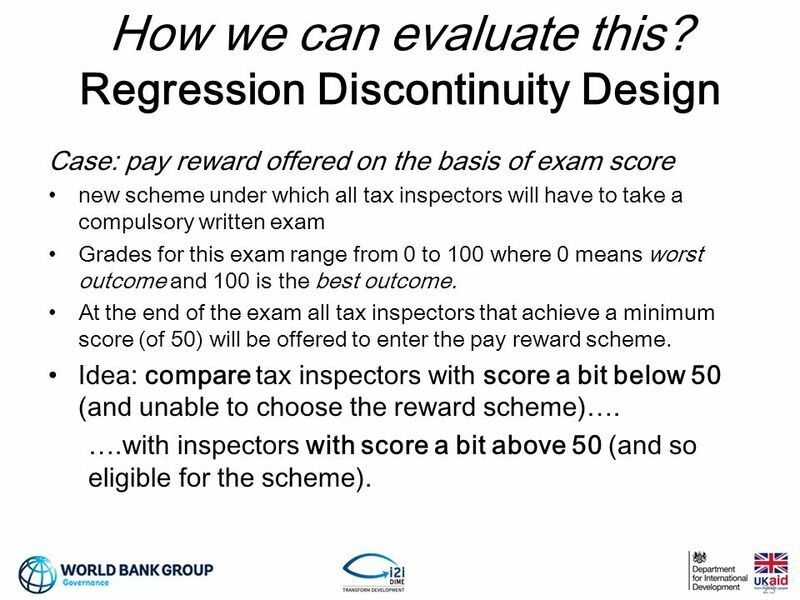 How do you know the results are a consequence of the reforms? 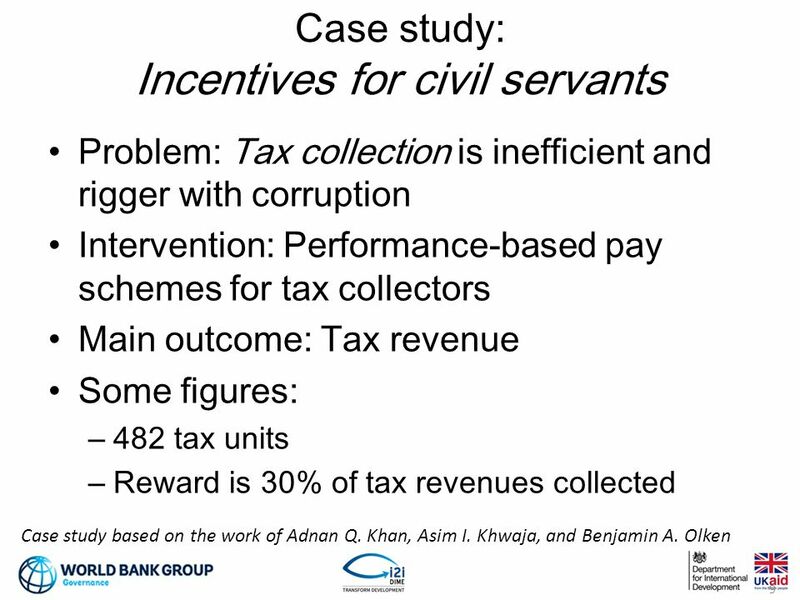 P: Well, we now have more educated and motivated civil servants and their performance improved. 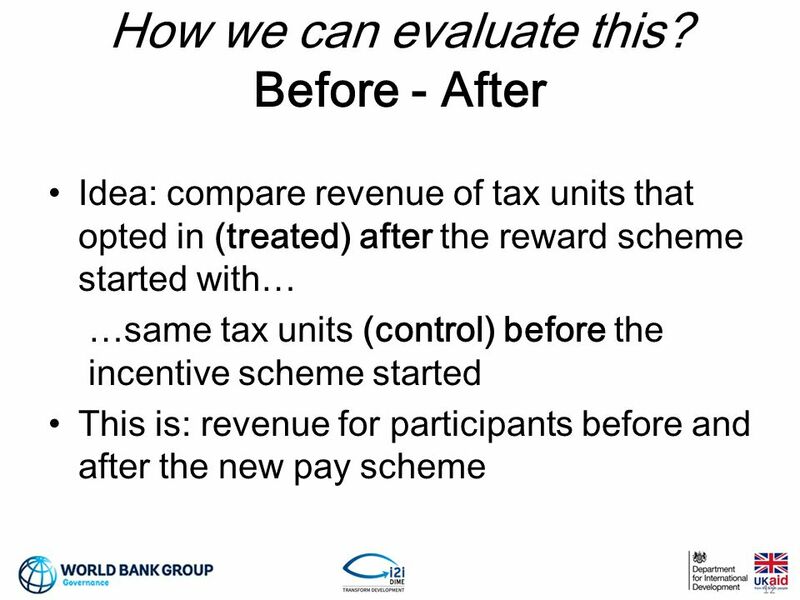 IE: Your reform is certainly positive. 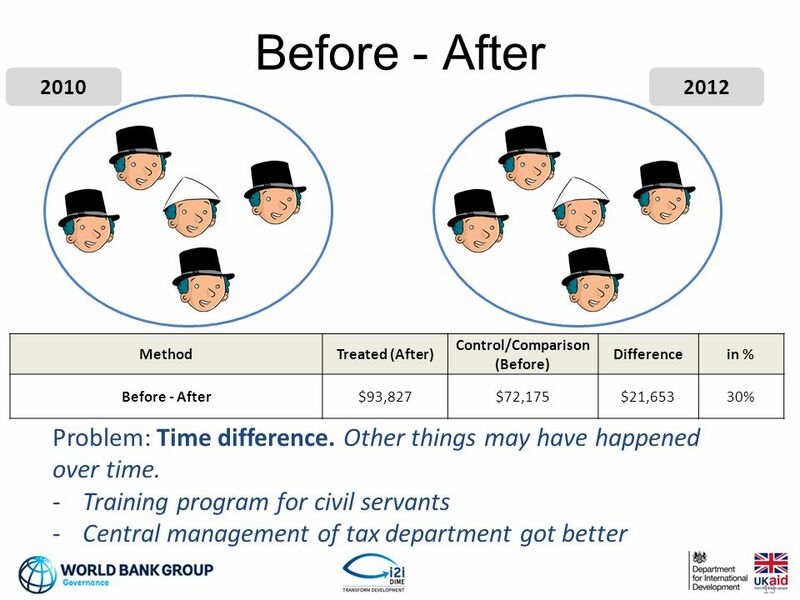 But what about improvements in education, general economic growth, or technology? 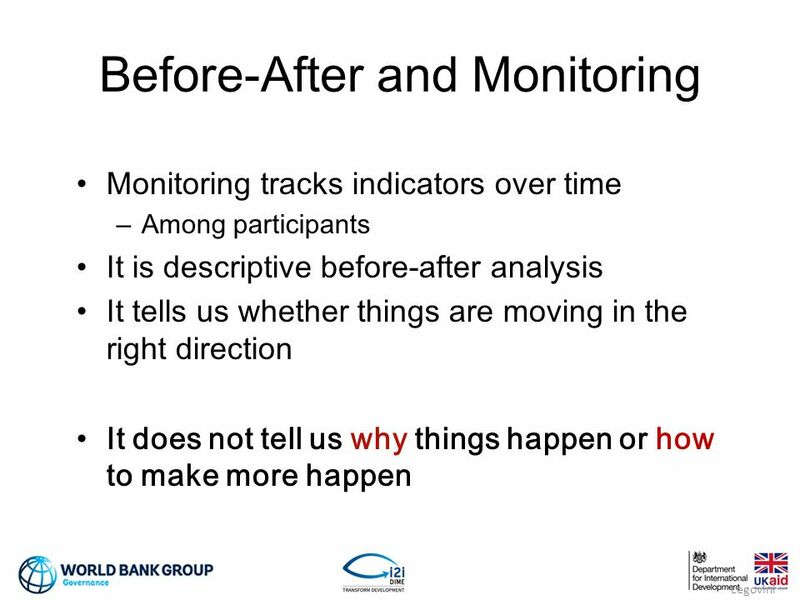 These are all things happened at the same time of your reform. P: That’s true. 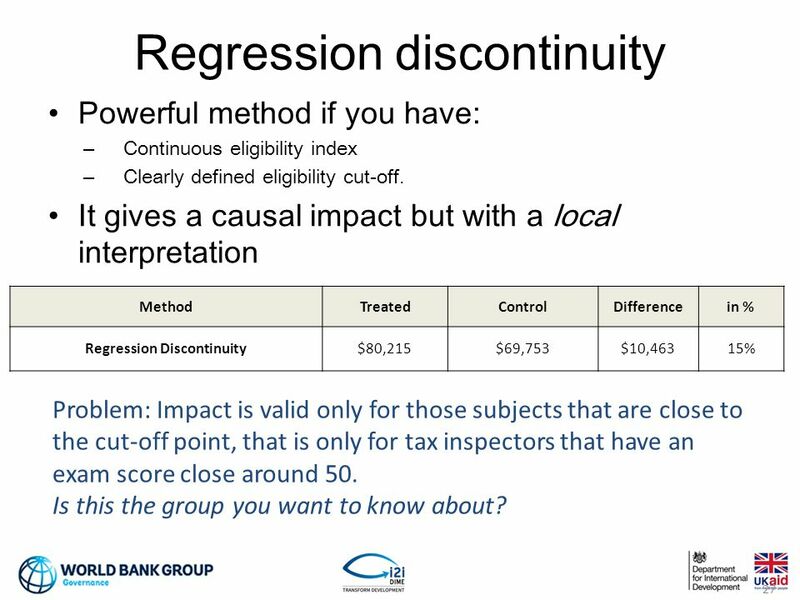 So what should I do if I want to attribute the impact to my reform? 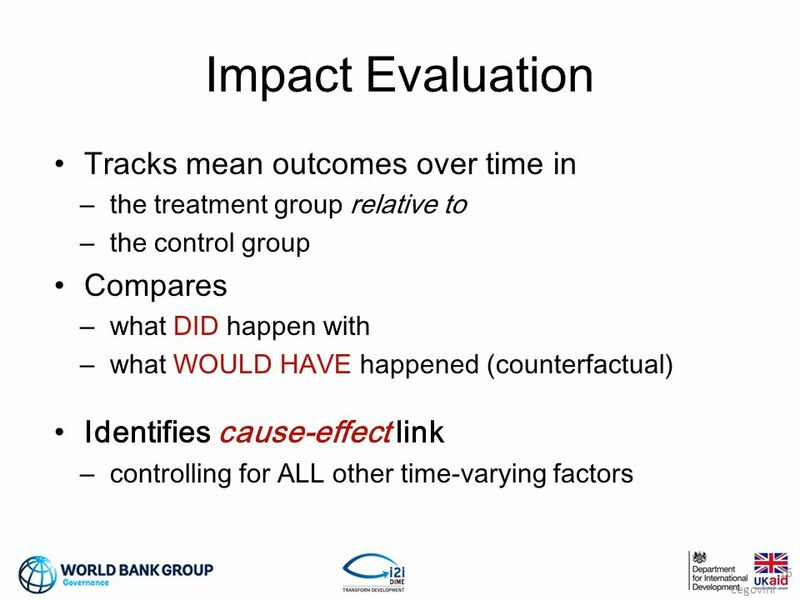 IE: Impact Evaluation! Let’s start designing an IE. 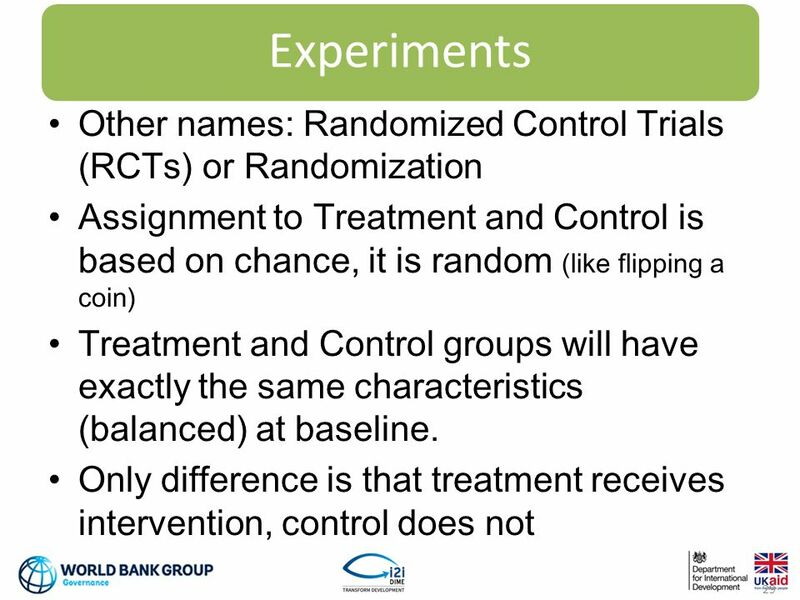 14 Before - After Compare: Same subjects Before and After they receive an intervention. 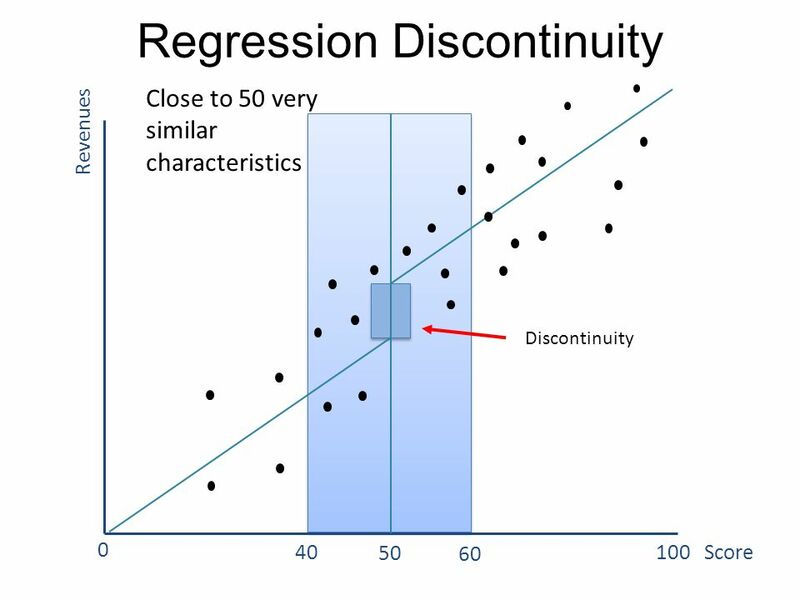 Problem: Other things may have happened over time. 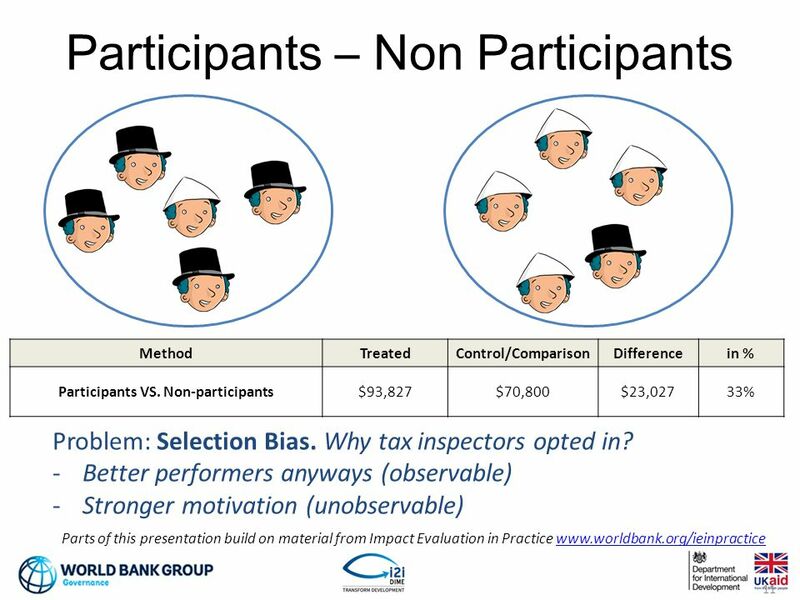 Participants – Non Participants Compare: Group of subjects treated (participants) with group that chooses not to be treated (non participants) Problem: Selection Bias. 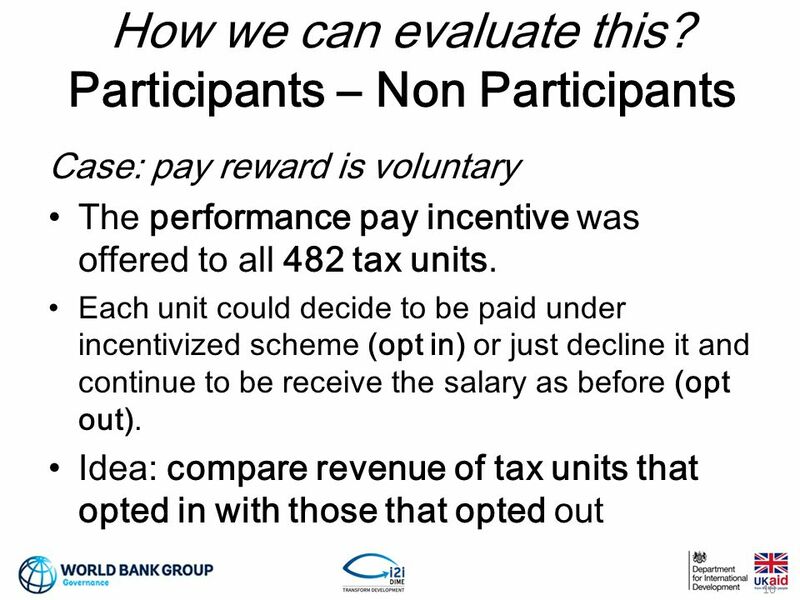 We do not know why they are not participating. 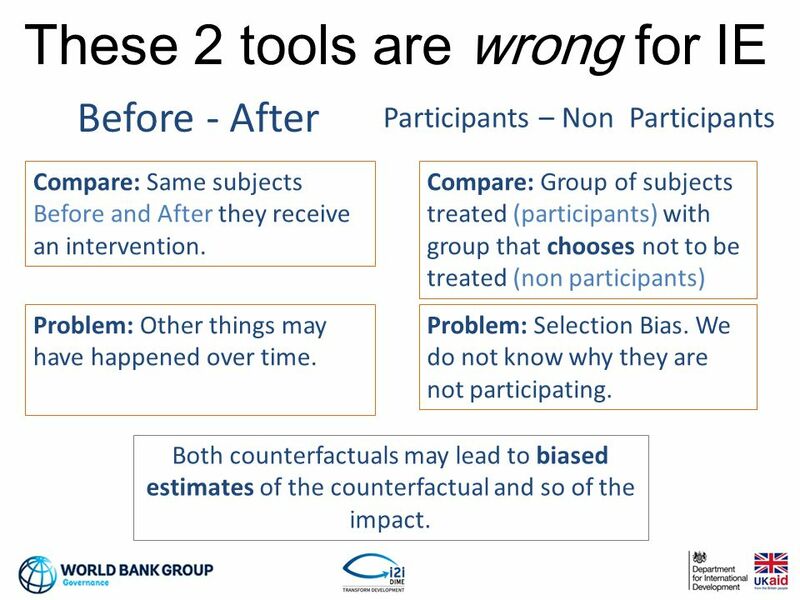 These 2 tools are wrong for IE Both counterfactuals may lead to biased estimates of the counterfactual and so of the impact. 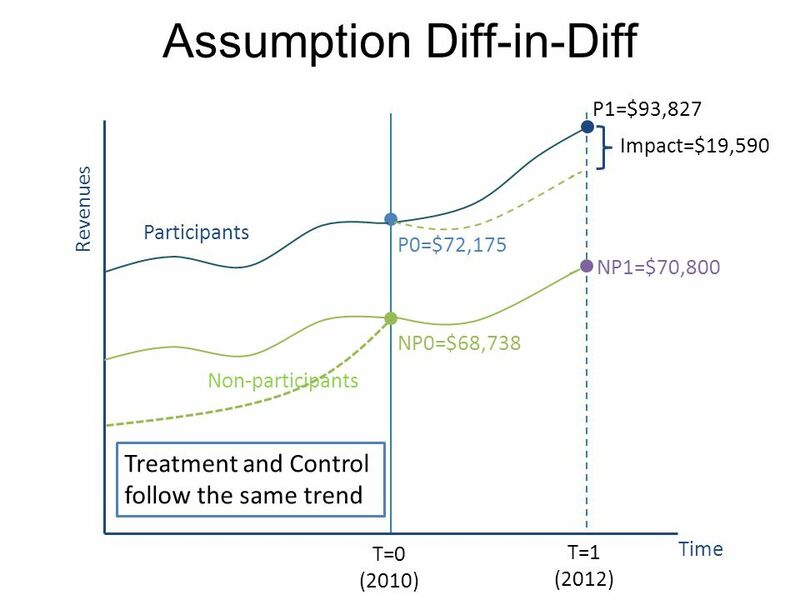 28 Summary of impacts so far 28 MethodTreatedControl/ComparisonDifferencein % Participants - Non-participants$93,827$70,800$23,02733% Before - After$93,827$72,175$21,65330% Difference-in-differences 1 (P1-NP1) $23,027 (P0-NP0) $3,347 $19,59029% Difference-in-differences 2 (P1-P0) $21,652 (NP1-NP0) $2,062 $19,59029% Regression Discontinuity (RD)$80,215$69,753$10,46315% Weak methods can lead to very misleading results RD (causal impact) is only around half of the impact estimated with the other weaker methods. 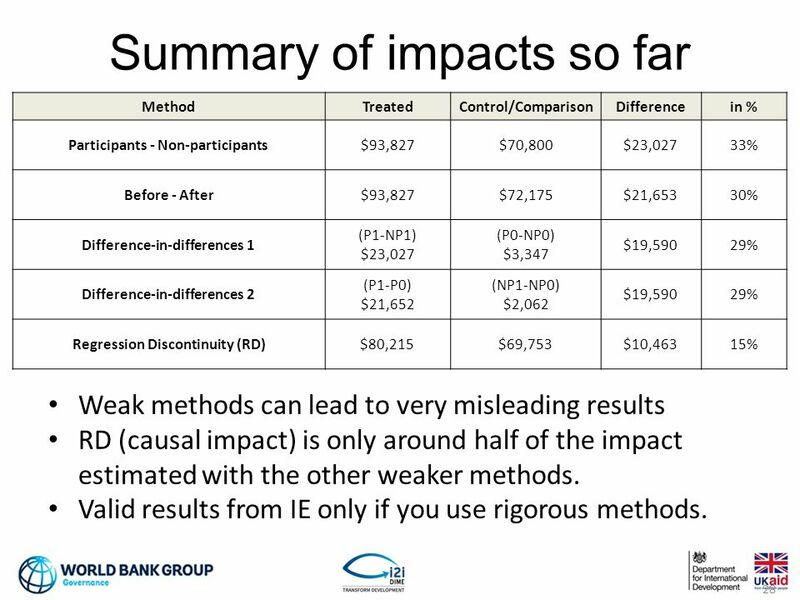 Valid results from IE only if you use rigorous methods. 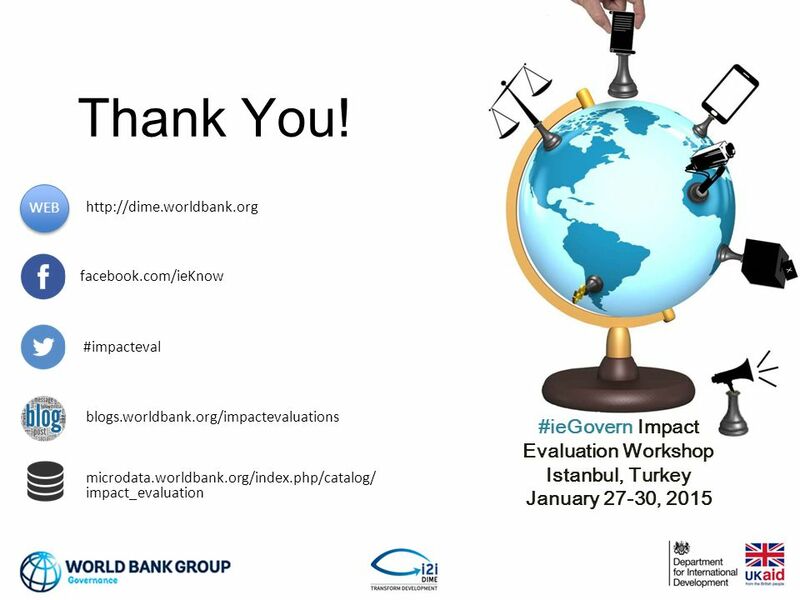 Download ppt "#ieGovern Impact Evaluation Workshop Istanbul, Turkey January 27-30, 2015 Measuring Impact 1 Non-experimental methods 2 Experiments Vincenzo Di Maro Development." 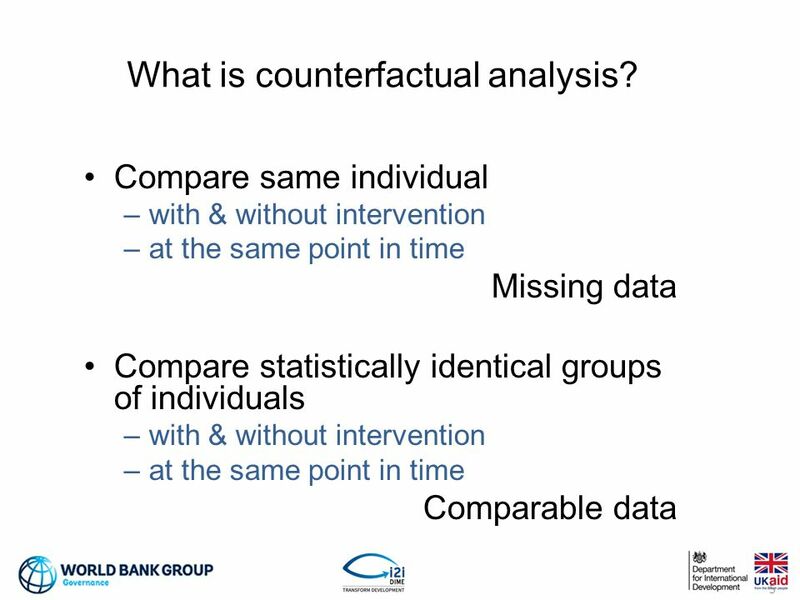 AFRICA IMPACT EVALUATION INITIATIVE, AFTRL Africa Program for Education Impact Evaluation Muna Meky Impact Evaluation Cluster, AFTRL Slides by Paul J. 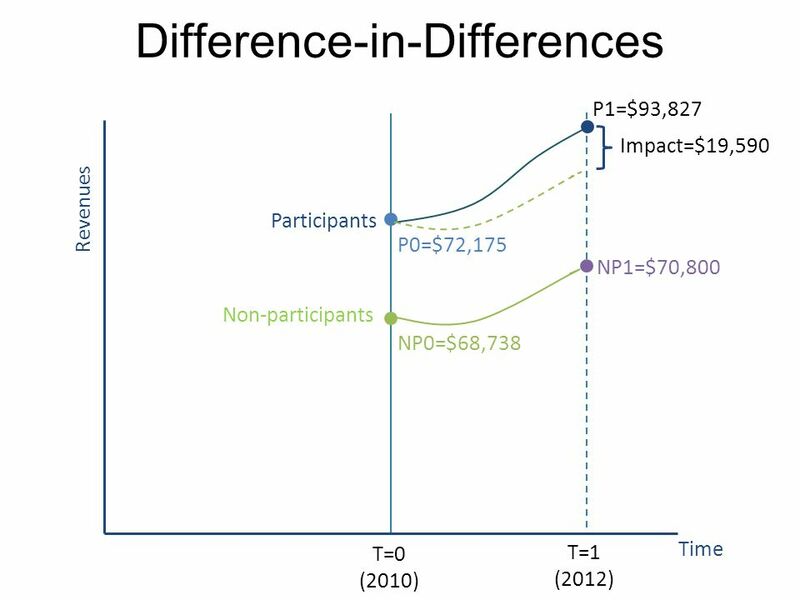 The World Bank Human Development Network Spanish Impact Evaluation Fund. 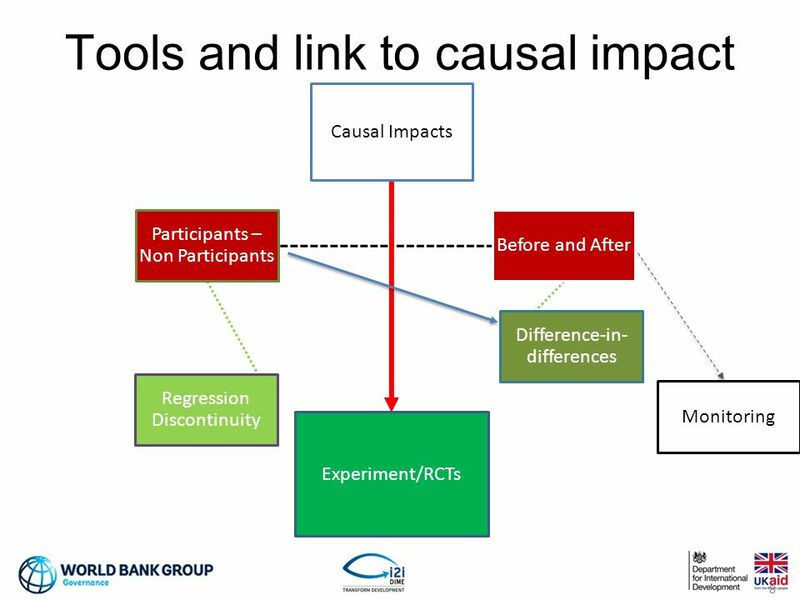 REGRESSION, IV, MATCHING Treatment effect Boualem RABTA Center for World Food Studies (SOW-VU) Vrije Universiteit - Amsterdam. 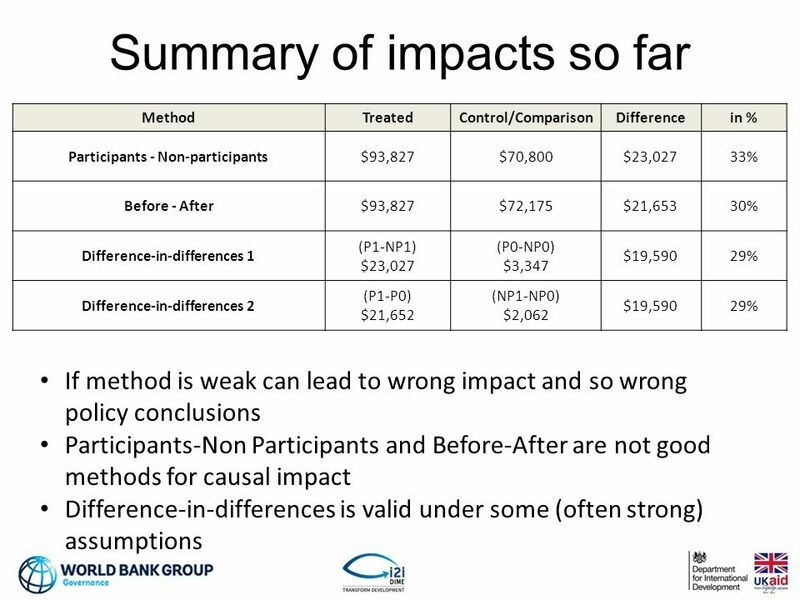 Advantages and limitations of non- and quasi-experimental methods Module 2.2.
Review of Identifying Causal Effects Methods of Economic Investigation Lecture 13. 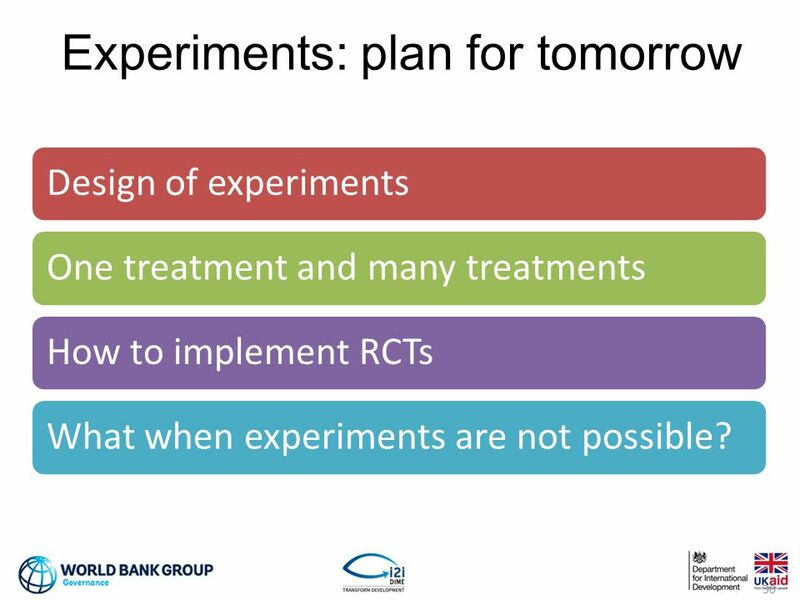 Presented by Malte Lierl (Yale University). 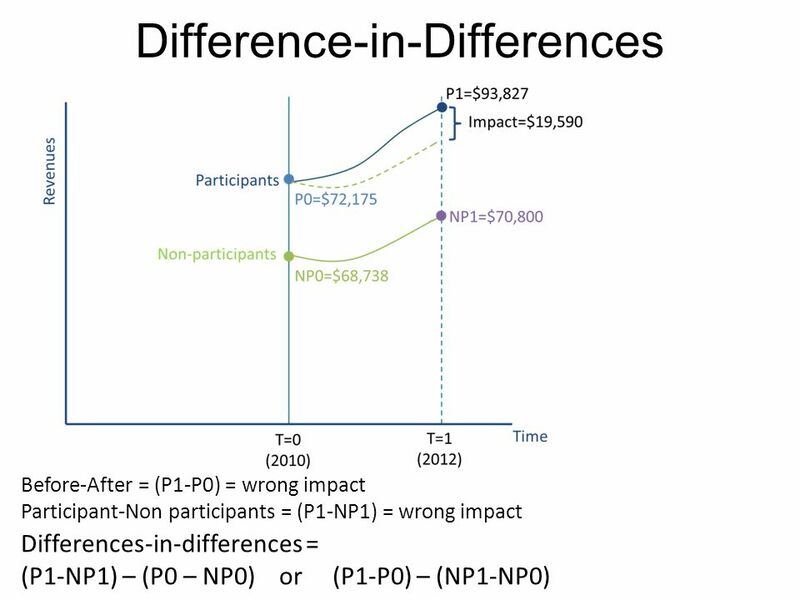  How do we measure program impact when random assignment is not possible ? 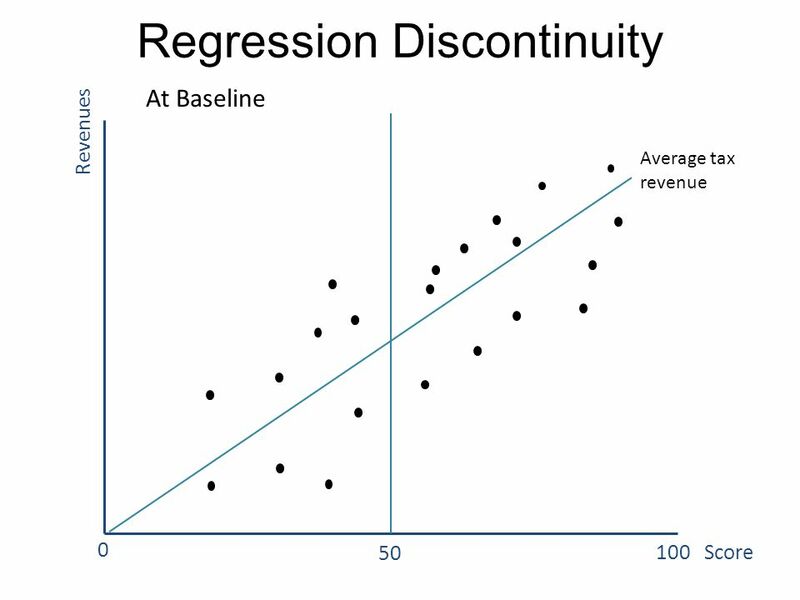  e.g. 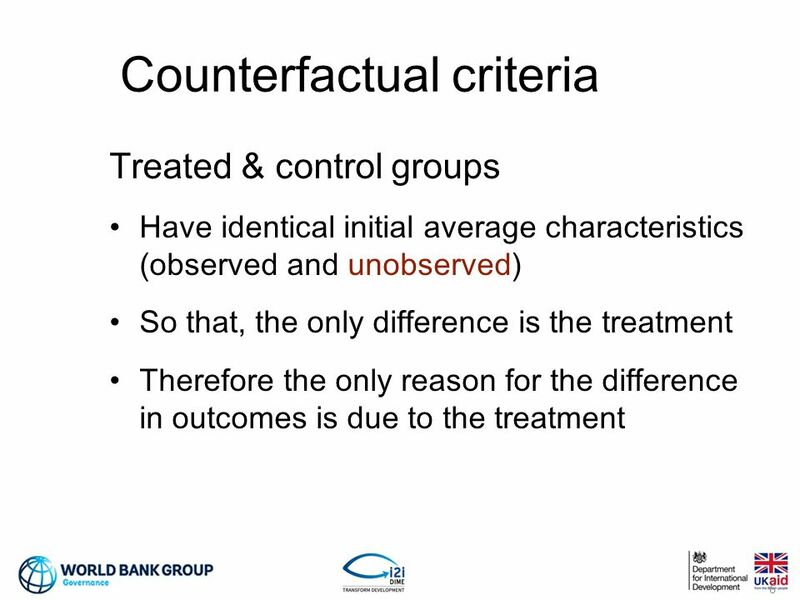 universal take-up  non-excludable. 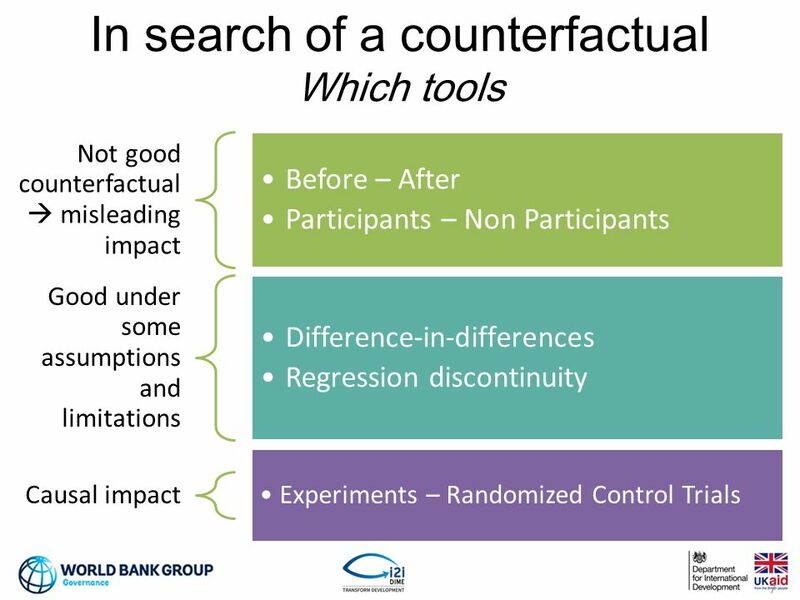 The counterfactual logic for public policy evaluation Alberto Martini hard at first, natural later 1. 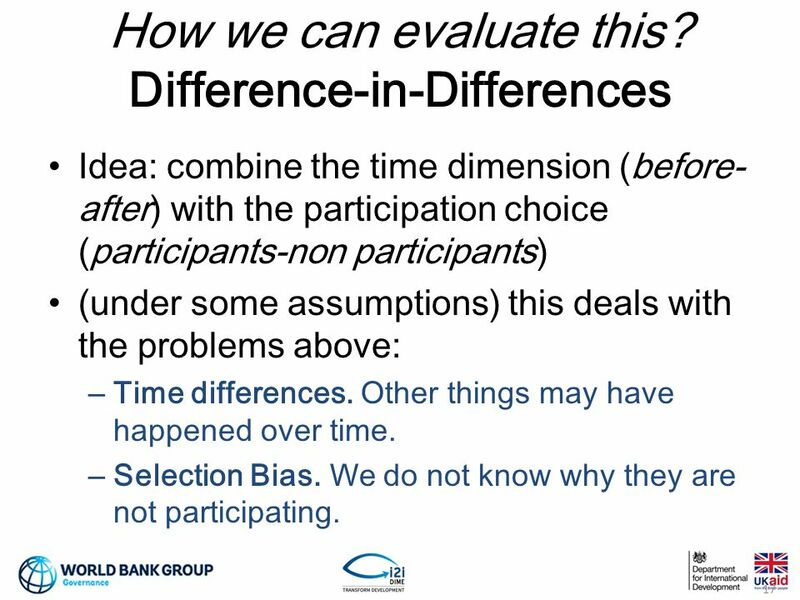 Designing Influential Evaluations Session 5 Quality of Evidence Uganda Evaluation Week - Pre-Conference Workshop 19 th and 20 th May 2014. 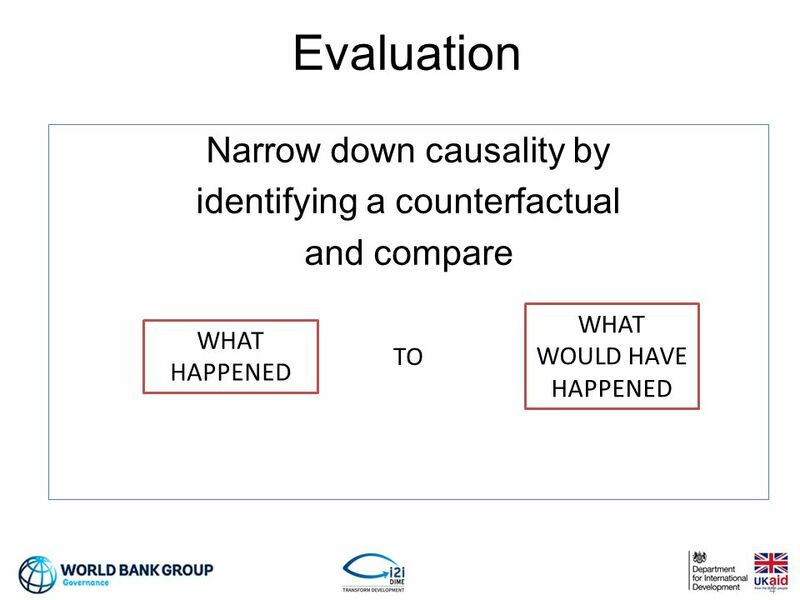 VIII Evaluation Conference ‘Methodological Developments and Challenges in UK Policy Evaluation’ Daniel Fujiwara Senior Economist Cabinet Office & London. 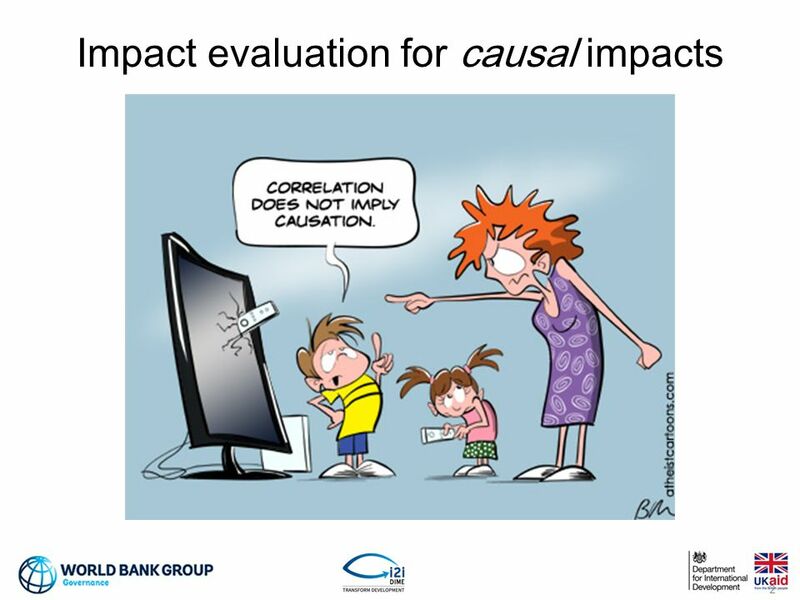 Impact Evaluation Methods. 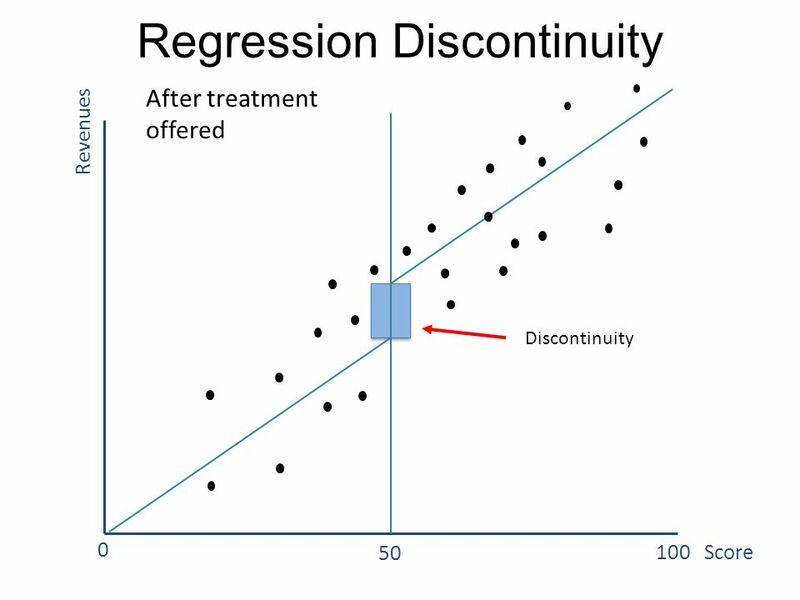 Randomized Trials Regression Discontinuity Matching Difference in Differences. 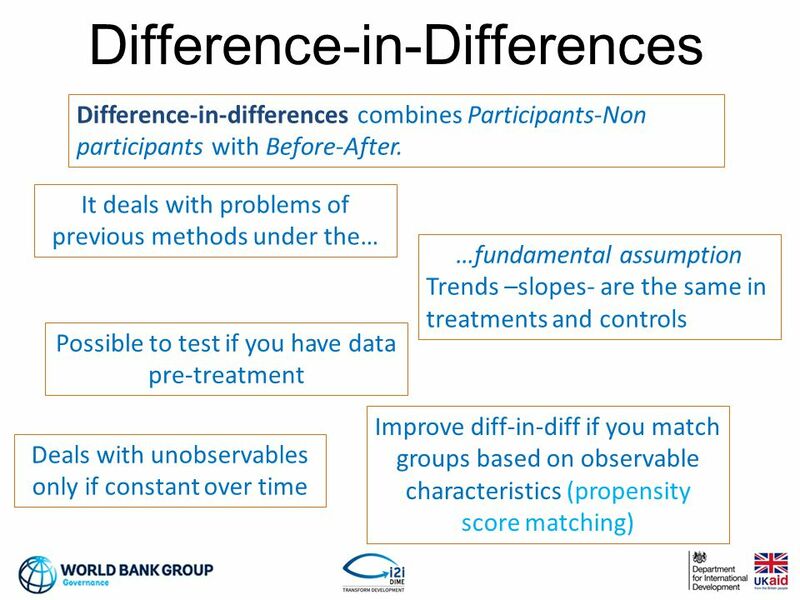 Public Policy & Evidence: How to discriminate, interpret and communicate scientific research to better inform society. Rachel Glennerster Executive Director.